High speed steel with titanium nitrite coating, which helps to maintain smooth damping motion and slows down wear and tear. Five colors piggyback bodies and three color spring to choose. Double spring setup for extra progressive damping effect. It has higher range than 1 progressive spring. 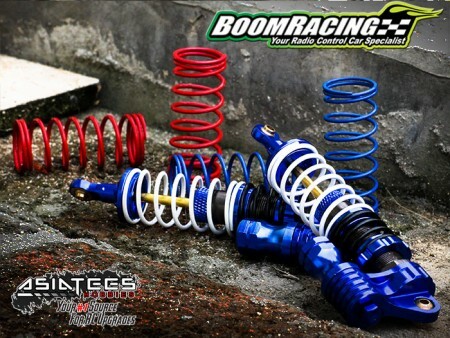 The effects of one progressive spring is not enough for RC cars as it is much lighter than real cars. 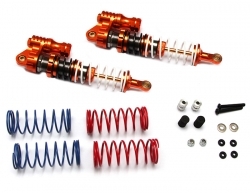 Double suspension however gives a good simulation of real car progressive spring effects. 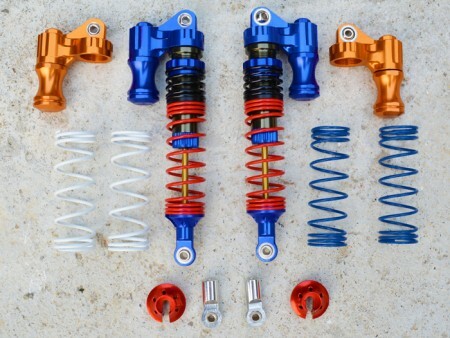 Double spring setup also give you a much larger adjustability for different spring rates. Piggyback reserve tank helps to keep damper rate constant when compressed. The Miscellaneous All Boomerang™ Type PB Race Ready Aluminum Double Suspension Adjustable Piggyback Shocks 100MM Orange has an average rating of stars based on 43 customer reviews. 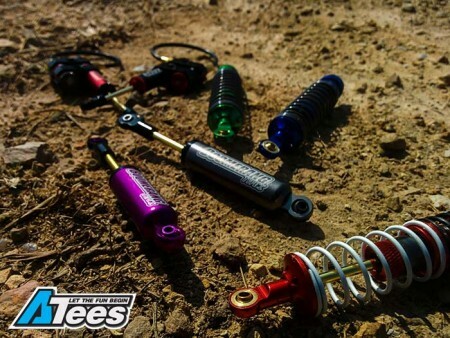 Awesome shocks! Absolutely love them! 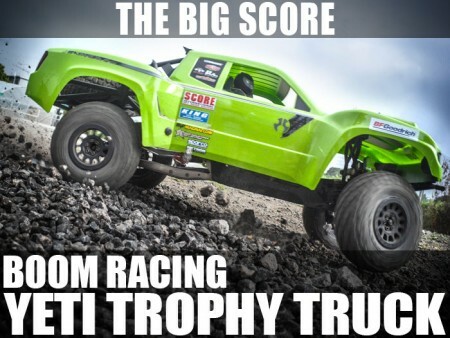 Awesome shocks, good damping and adjust-ability.